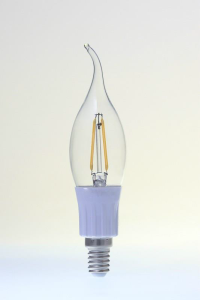 The new flame tip filament type bulb is a revolutionary new kind of LED bulb that will out last and out perform any incandescent bulb. It has the same output as a 50 Watt incandescent bulb while using less than a tenth of the wattage. Not only is the flame tip efficient but it is stylish too. 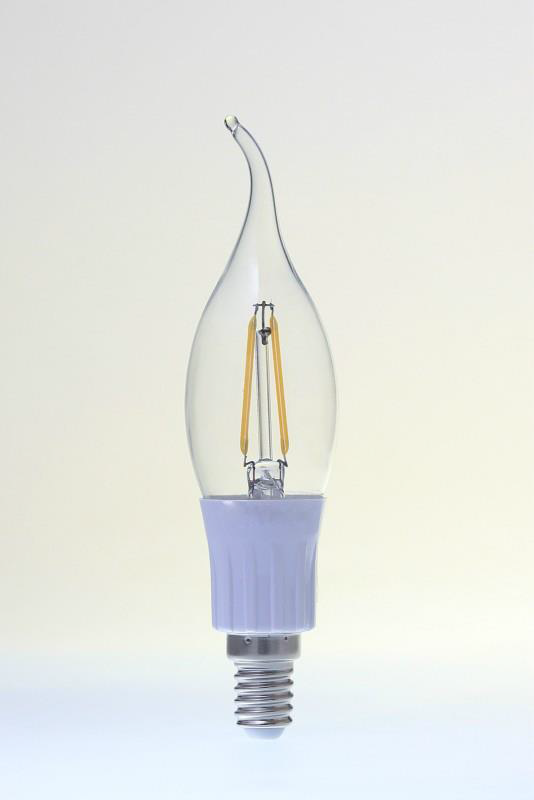 Most LED bulbs feature a large heat sink around the bulb which makes it heavier and impracticable for residential use, as it can damage sockets designed for a lighter bulb. Conventional LED Bulbs also cast shadows from the heat sink that makes LED bulbs even less attractive for in-home use. The new Lumentek Flame tip LED solves both of the old LED bulb problems. The heat sink is light enough where it doesn’t damage the socket of the lamp, and the new patented “filament” that doesn’t cast shadows which makes it perfect for residential use.